Every country has them; the UK has pound shops, the USA has dollar stores, and Japan has 100 yen retailers. If you don’t shop in discount shops regularly, you may not be familiar with what they sell. The short answer is: everything. They may not be brands you’re familiar with, and you may have to hunt around, but if you’re willing to try them, you can find some real bargains. But what has this got to do with your holiday? Just check out some of the travel-related items available for purchase! Take Five is our new pet project - in each instalment, we are going to share with you our top five attractions or activities in a given destination. 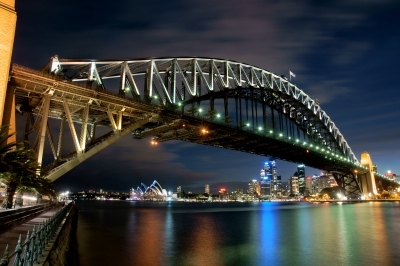 Today, we will be sharing our top five attractions in Sydney. Get amazing 360 degree views of Sydney from atop the Sydney Harbour Bridge, taking in the sights of the world famous Sydney Opera House, the Blue Mountains and the harbour itself. Your ascent, escorted by a climbing professional, is the most unique and memorable way to experience one of the wonders of the world, although it is definitely not for the faint-hearted! Choose to take your 3 and a half hour climb in the early morning, afternoon, sunset or under the twinkling stars on the night climb - no matter what you choose, it will be a truely unforgettable experience! Rest assured that you are in safe hands; before your climb you are fully briefed and given a comprehensive safety demonstration, and provided with a protective cover-all to wear over your clothes. 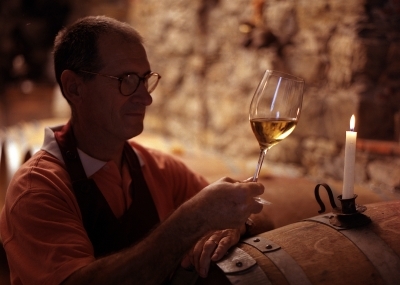 If you know anything about wine, you'll know that Australia has one of the most lucrative and respected wine industries in the world. Take a day trip from Sydney to Hunter Valley, the prime location for Australian vineyards; in fact, on this tour you'll visit four of them, take part in three tastings and enjoy a lunch, paired with the wines you have just sampled! Then enjoy all the Hunter Valley Gardens has to offer - namely quaint village shops, cafes and chocolatiers. Included in your tour is pick-up and drop-off from selected Sydney hotels, transportation to and from the vineyards, all tastings, lunch, a stop at Hunter Valley Gardens to explore, and a knowledgable and friendly guide to accompany you. See the sights of Sydney with a friendly local guide, learning about the history of the area, hearing stories and being let in on the secrets behind one of the most vibrant and bustling cities in the world. Sound good? Well wait until you hear the best part... It's free! That's right, free. Costs nothing. Gratis. All you have to do is make your way to Sydney Town Hall square for either the morning or afternoon tour, and if you feel that you're guide has done a stand-up job, then show your appreciation with a tip. Just be sure to bring comfortable shoes and plenty of water - the tour lasts three hours, after all! If you're celebrating a special occassion whilst in Sydney, or just want to do something truly memorable on a once-in-a-lifetime trip, this is the attraction for you: a helicopter tour high over the rooftops of Sydney and the Blue Mountains. There's a reason why Blue Sky Helicopters are the number one Sydney Attraction on TripAdvisor; they are Sydney's longest-running helicopter tour company, with immacculate safety records and famed for their hospitality. Blue Sky Helicopters offer a variety of flights, with differing locations and durations, and also offer a Fly 'n Dine package, and even helicopter weddings. These trips are certainly not cheap, but, in our opinion and the opinion of those who have flown with Blue Sky Helicopters, they are worth every penny. Taronga Zoo, just twelve minutes from Sydney by ferry, is one of the best attractions in Sydney, particularly for children. 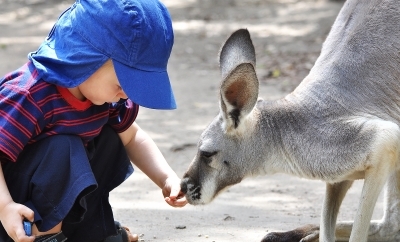 Each day at Taronga Zoo, children and adults alike can enjoy animal shows, keeper talks and animal encounters. There are also tours of the facilities, and your little animal enthusiasts can even get to grips with the daily life of a zookeeper with the Keeper for a Day experience. Billed as Sydney's ultimate sleepover, Taronga Zoo also offers their 'Roar and Snore' package - the whole family can sleep over at the zoo in specially designed tents, complete with dinner, and wake in the morning to the sounds of animals and a glorious view of the Sydney Harbour Bridge. You will then get to enjoy a behind-the-scenes look at the zoo's exhibits, even having the opportunity to feed the animals their breakfast! 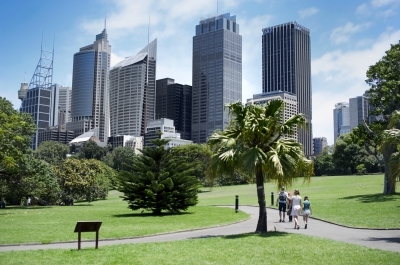 So there you have it - our five favourite activies in the Sydney area! Welcome to HSL Travel's brand new website, and our very first blog post! We hope to provide you with first-class travel advice, tips, how-tos and news on our blog; if you have any questions or requests for posts, please leave a comment, email us or Tweet us, and we'll see what we can do! In the meantime, we would like to talk a bit more about what it is exactly that we offer. HSL Travel provides trip planning services, which includes an overview of your chosen destination, a comprehensive selection of events and activities that you can take part in while away (based on your requirements, interests and the ages of travellers in your group), and itinerary planning. Every travel package includes assistance with booking excursions, activities and any other tickets, and comes complete with links to any relevant websites we think you might find useful. We then send you this information in PDF format; once you save this document to your personal computer, tablet or Smartphone, you can access it anytime, anywhere - even while you are on holiday! You can print out your tailor-made document if you prefer a hard copy, or for a small fee, we can send it to you in the post. If you have yet to settle on a destination for your next holiday, we can be of help with that too; just let us know of any areas you would like to visit, any hotel requirements and any other needs, and we can help you find the right trip at the right price. Don't just take our word for it, though; read through our testimonials, or check out a sample of our work using the tabs at the top of this page. We hope to hear from you soon! We are a team of travel specialists, and our goal is to help you plan the most enjoyable trip possible! We hope you enjoy our blog - our aim is to share our travel tips, give you more information about what we do, and share our favourite destinations with you!